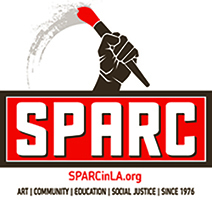 Social and Public Art Resource Center (SPARC) Since 1976 | Help SPARC remain responsive to our communities. Help SPARC remain responsive to our communities. Support another 40 years of art, political action, and social justice by contributing to SPARC today. In our current political climate, SPARC programs are more necessary than ever as others. Please help SPARC remain responsive to community needs. You make it possible. We are grateful for your commitment to arts activism. Donate 100% - Add 3% so that 100% of the donation goes to Social and Public Art Resource Center (SPARC) Since 1976. 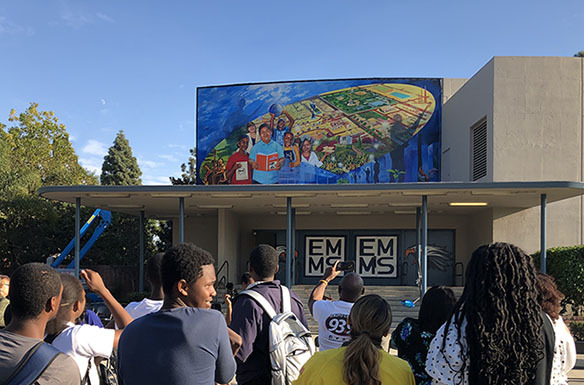 Social and Public Art Resource Center (SPARC) Since 1976 has partnered with Network for Good to securely process your online credit card payment via Network for Good (tax ID 68-0480736). This transaction will appear on your credit card statement as "Network for Good." This transaction is subject to Network for Good’s Privacy, Security & Disclosure Statement and the Charitable Solicitation Disclosure.